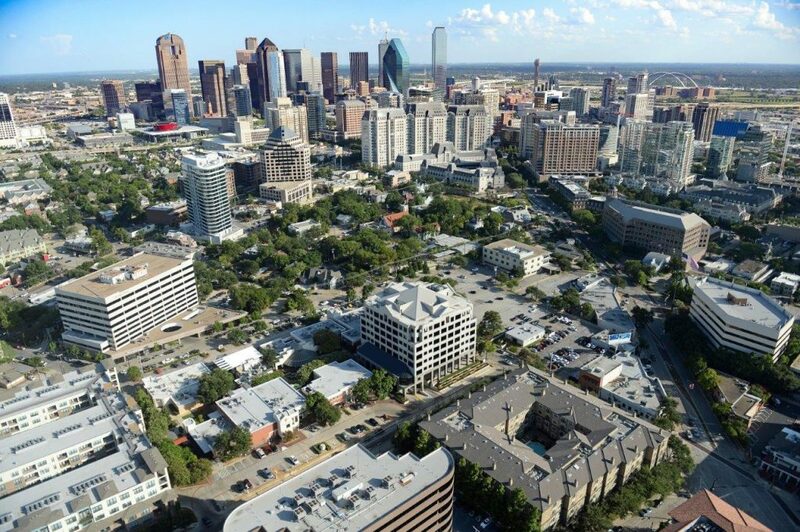 DALLAS (January 31, 2019) – Stream Realty Partners (Stream), a national real estate development, services and investment firm, has purchased The Quadrangle in Dallas’s Uptown neighborhood. “Our vision is to restore The Quadrangle’s place as the premier mixed-use property in Uptown, which will require some of the same daring ideas that made it great in the first place,” said Ramsey March, managing director and partner, Stream Realty Partners. The Quadrangle, which was originally developed in 1966, was the first mixed-use project in Dallas and remains today one of the area’s most iconic properties. Offering approximately 194,332-square-feet of commercial space in an eight-story office tower and one- and two-story retail and creative space, The Quadrangle also possesses significant additional development potential given its location in the center of Uptown. Located on just under four acres in the center of Uptown, The Quadrangle is walkable to numerous prominent amenities and developments including more than 75 restaurants and 55,000 existing and under-construction multi-family units. Stream is acquiring The Quadrangle from American Realty Advisors, which was represented by HFF in the transaction. HFF also represented Stream in securing loan financing for the acquisition.